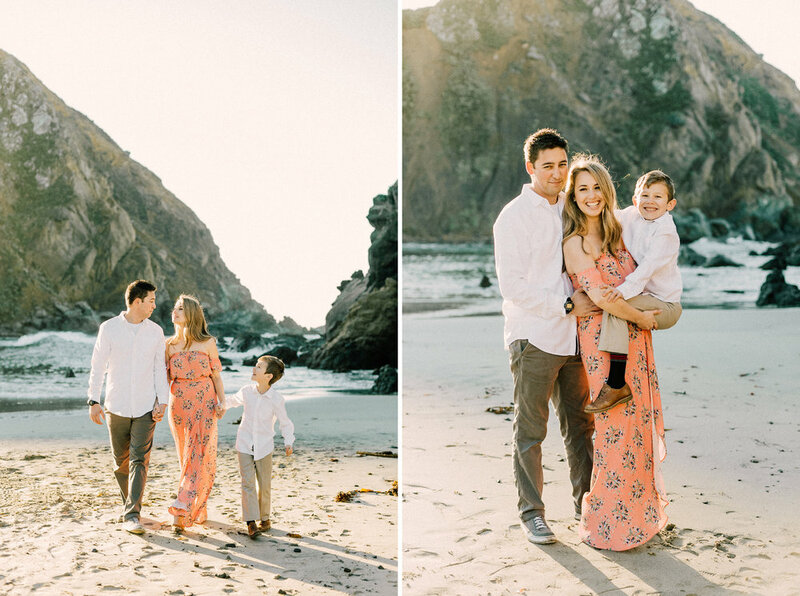 These guys braved the cold EARLY morning to catch the gorgeous sunrise in Big Sur, CA a few weekends ago and I couldn't be more giddy with the outcome. They also had their little guy join in on their engagement portraits and boy, did he keep me entertained with his cute little smirks. So thankful that Nicole and Chaz chose me to capture this special time in their lives for them along with taking me out to such a beautiful location.